When Tanner and I first got married, we lucked out with a family friends' condo to live in with plenty of space. It was a 2 bedroom 2 bath condo, with a laundry room, high ceilings, a dining table, couches, and even 2 walk in closets. I loved that house, and really never thought we would leave because the location was great, and we had space. 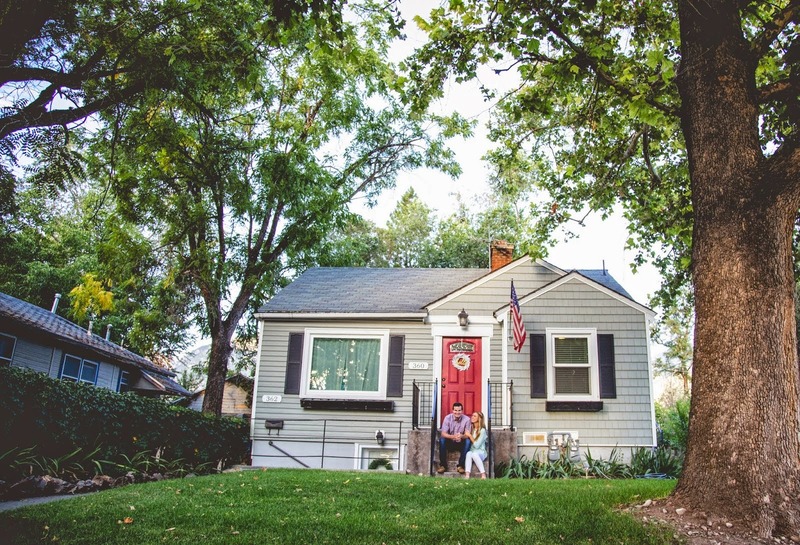 Once Summer came along, we started thinking that owning a home would be a great option. 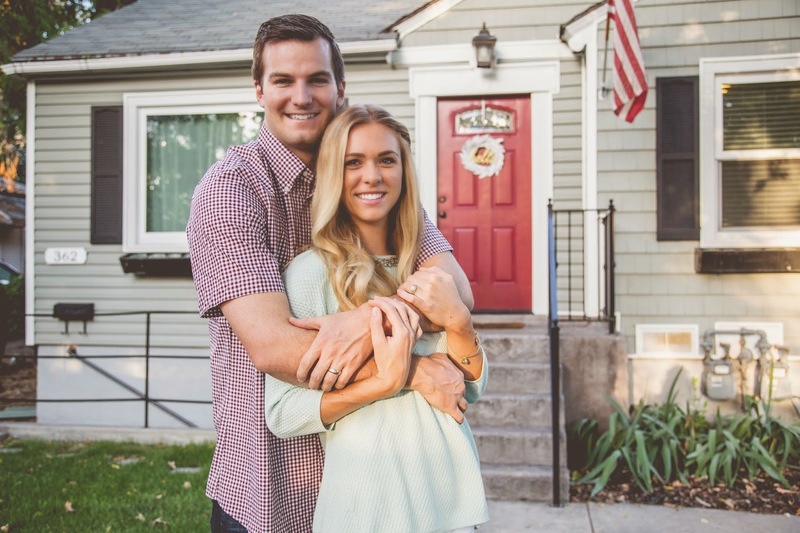 Provo is known for their very old homes, with basements and even full kitchens. 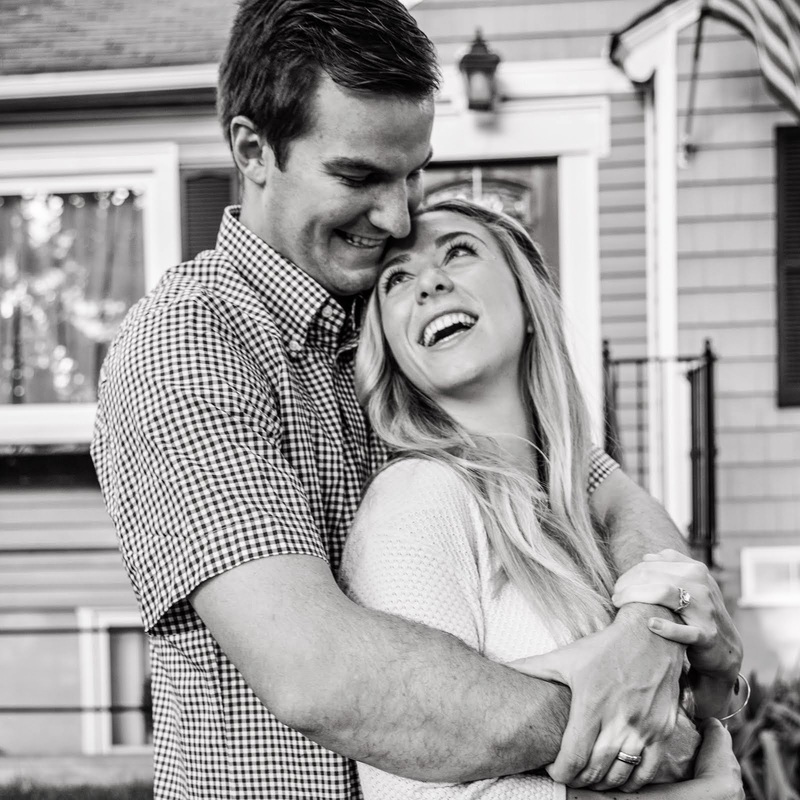 We knew buying a duplex would be perfect for our situation, so that we could have renters, a backyard, and when and wherever we went to Dental School, we could keep it and rent it out. One of my very favorite parts of our house is our gallery wall. We had one at the condo above our couch, and the wall was huge and endless. 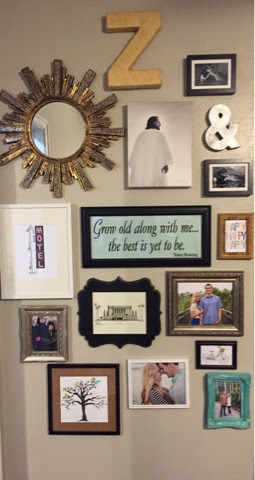 When we began looking at our new house, I knew I would have limited space, but I had to have my gallery wall! We have a vertical wall that I knew I could make work. 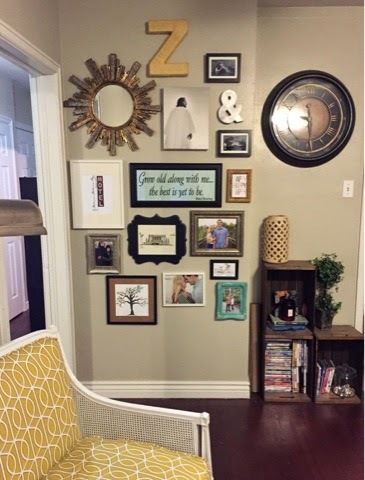 I had seen a couple inspirations on Pinterest, but much to my dismay, that spouse of mine was a little doubtful of how it was going to look. I just told him to trust me-I knew I was going to love it. I started by laying out all of my pictures-which I highly recommend. It will save a ton of time in the long run, and it will eliminate the stress of un-nailing and re-nailing. By the time our second frame came around, we realized that all of our nails were bending in half, because we were nailing into straight dry wall. After drilling in holes (it was a very long process for this gallery wall!) we finally got everything hanging, and I was so happy with it! This wall has so many memories. that motel print is a "famous" motel in Mesa known for their neon sign, the quote is one off my favorites and was used at our wedding, that tree is our family tree with all of our family members names on it, we got married in the Mesa LDS temple and I love that pencil sketch of it, and other memories like kissing dolphins in the Bahamas on our honeymoon! I've changed out a few pictures, but I actually really like looking back on our marriage with old pictures! It's my favorite wall to stare at. Although we will be moving on to bigger and better things, I will always love our very first home. I cherish the memories we made in it together, with our friends, and with our family. I can't wait to take our children to it whenever we visit Utah! **I am super excited to have been involved with Urban Compass' new projects called Starter Stories. Urban Compass is an NYC based real estate platform that connects folks searching for apartments with neighborhoods that match their personalities. 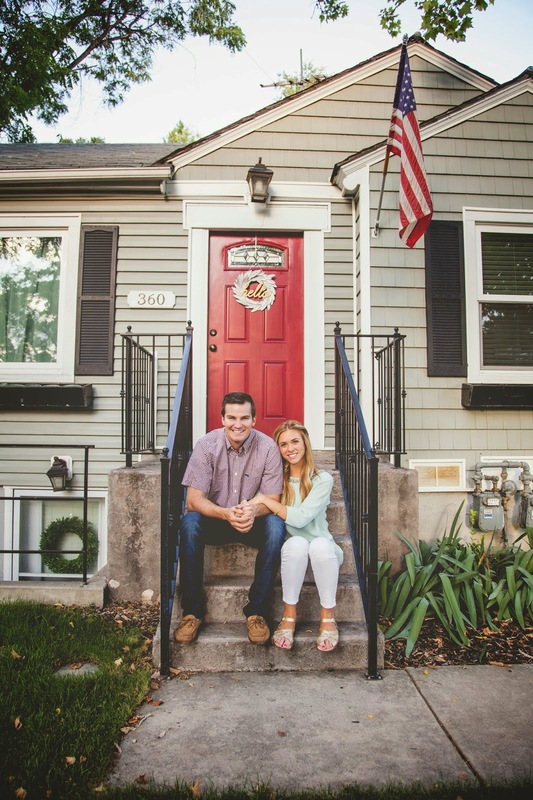 Go visit their site to see some drool-worthy neighborhoods! My personal favorite is the Chelsea neighborhood-for the charm and the culture, and because I absolutely loved walking the high line when we were there last month! That house is absolutely adorable! 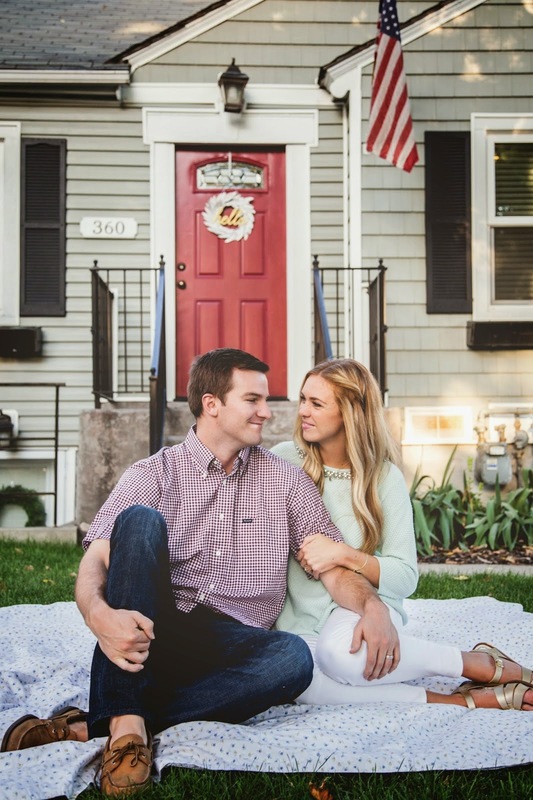 I am loving the red door.